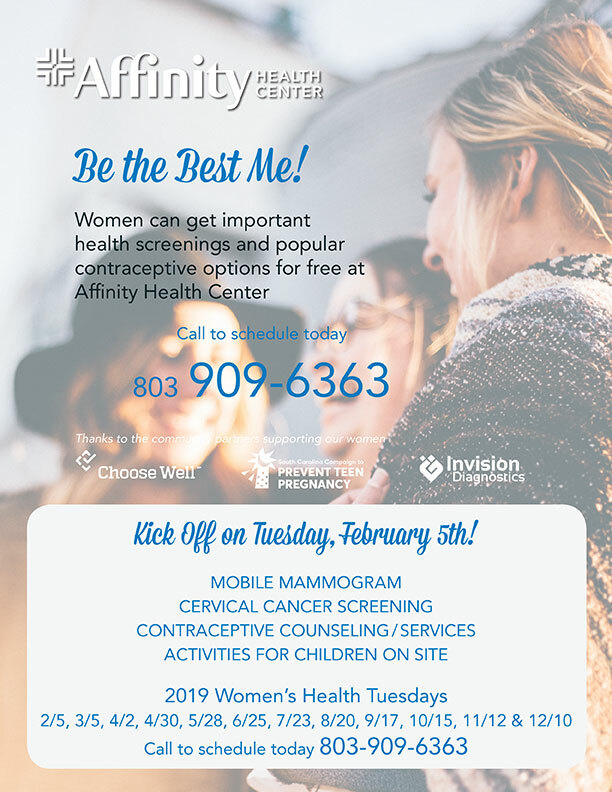 Affinity Health Center wants you to “Be the Best Me!” by getting important health screenings like mammograms and Paps. Take control of family planning with popular contraceptive options, including long term reversible contraception for little or no cost. Call 803-909-6363 to schedule your spot at one of our monthly Women’s Health Days.